SAORI weaving resonated with the kind of making I wanted to do when first falling in love with weaving, which is a wonderful world crossing art and design in practice. Both to create art or endeavour on any kind of design it is our intuition which should lead the way before any final design concerns come into play. The new revival of craft is often obsessed with smooth minimalism, but new things never come into the world with perfection and initial constraints in mind. Copying and pre-defining an end result will not feel true to ourselves, therefore take away the opportunity to share something new with others. It is the philosophy as first defined in the 70's by Misao Jo in Japan, which tells us all to allow one's personality and imperfections to shine through in our work, explore carelessly as young children do and see everything around us with wonder or "the eyes that shine". 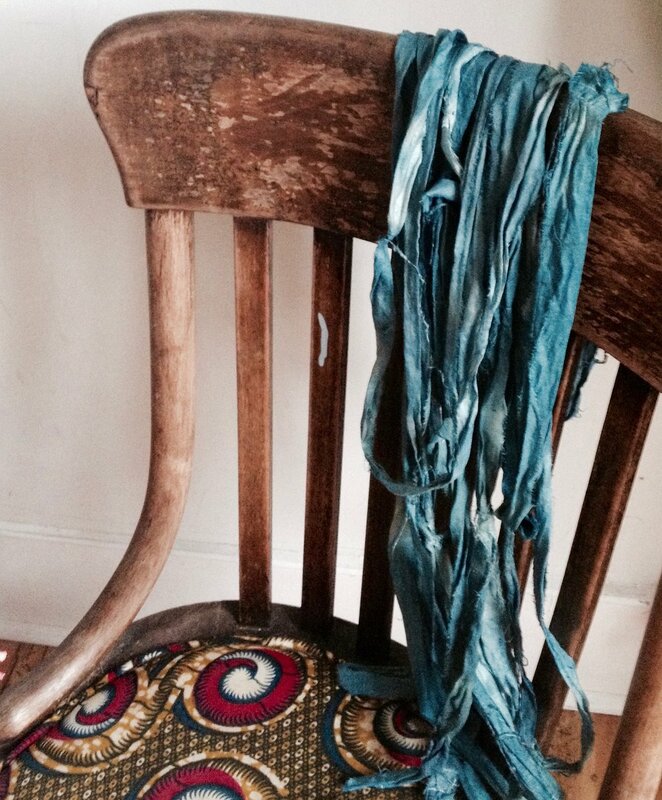 The unknown component present in any art or creating is truly embraced in SAORI weaving. 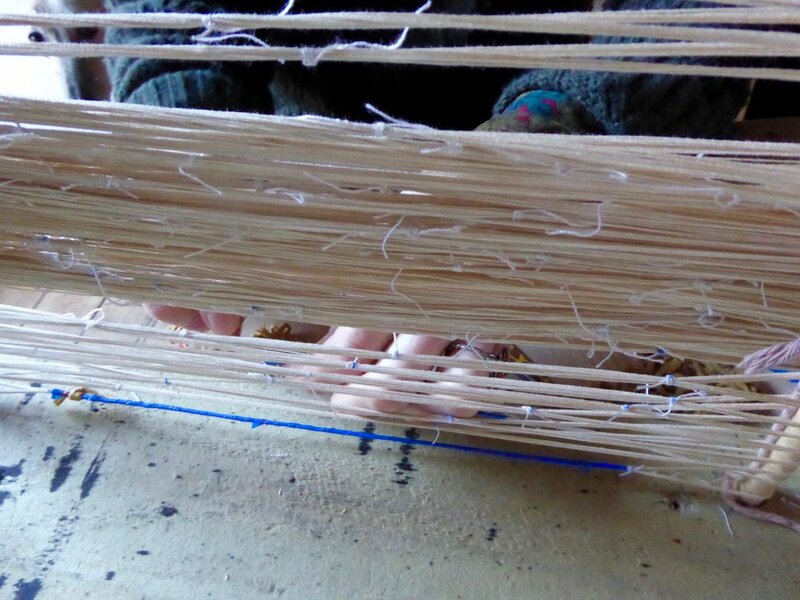 Weaving is a very momentous expression when practiced with the ethics of an artist, with changes and decisions along the way, which lead into new inspirations in themselves. 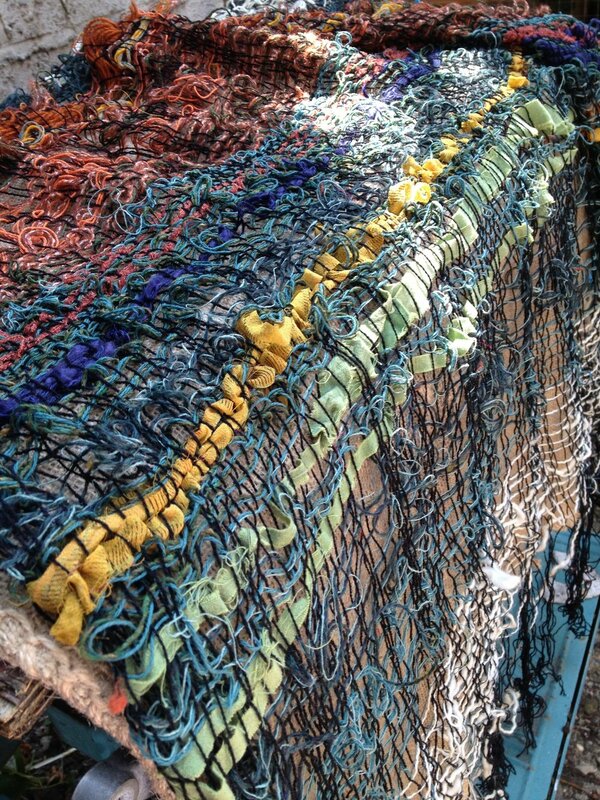 We end up slowly growing something true to who we are there and then and the products of this kind of weaving are alive. 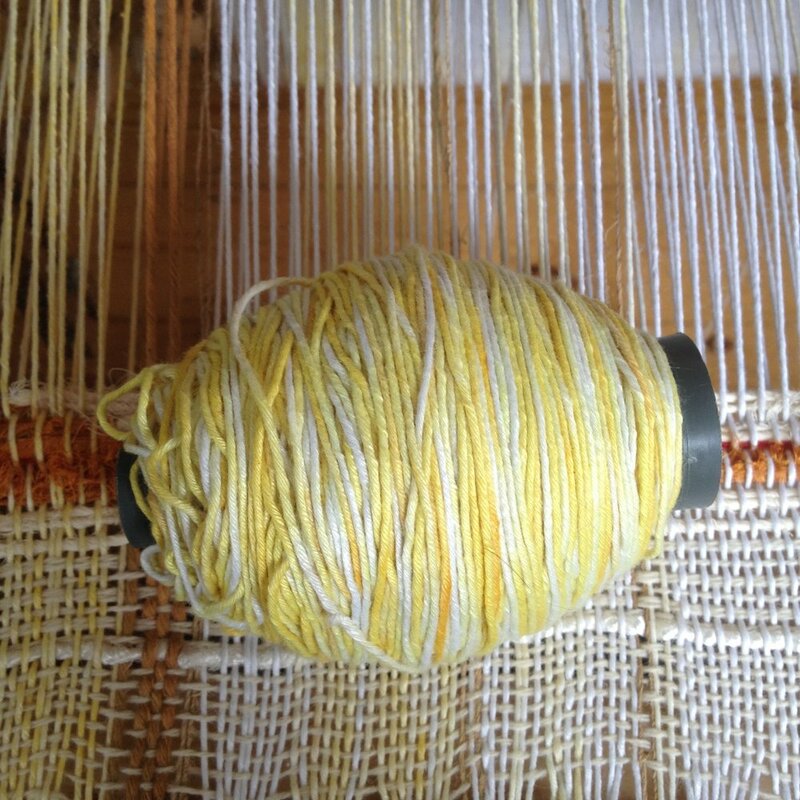 Weaving has for thousands of years been closely connected with natural dyeing, from tapestry to workwear. 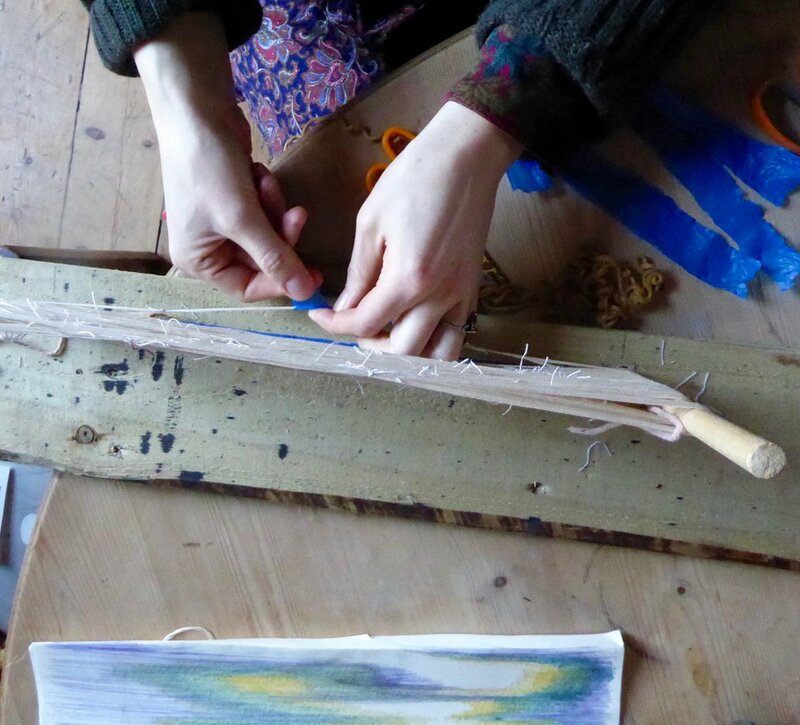 Creating my own colours at home with components from plants and kitchen waste has become an engaging part of the whole process that is weaving to me. The movement and colours and joy coming from this interplay between dyeing and weaving is something so unique, it fits perfectly with the freedom found in SAORI weaving. When it comes down to colour in daily life, no one considers its production. 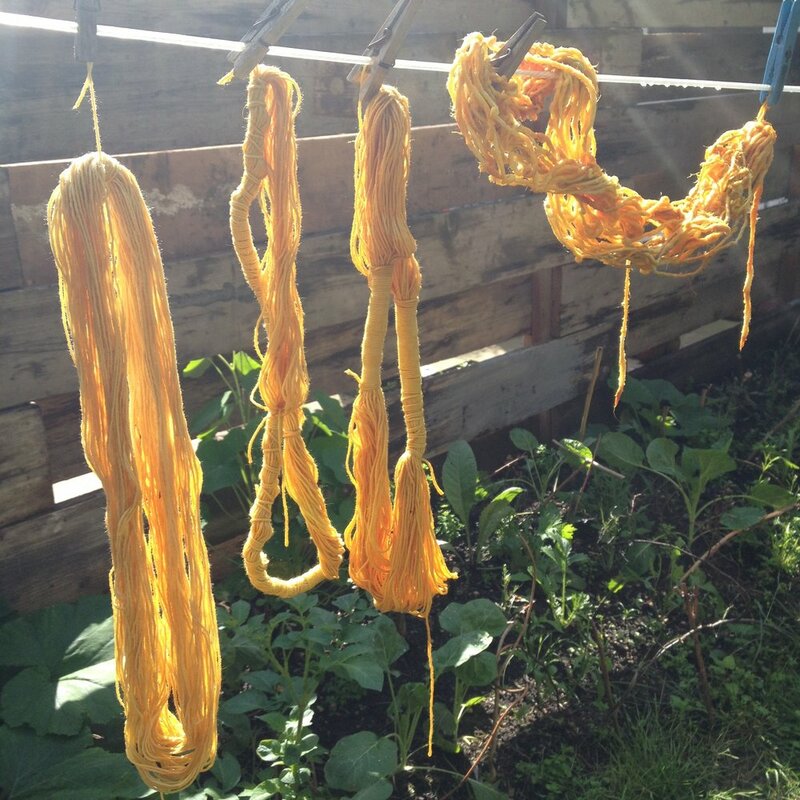 More natural dyers will create more awareness of what colour on fabric is.